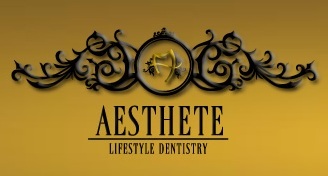 Aesthete Lifestyle Dentistry comes to you from a family with generations of dentists. Our combined years of experience, travel, and education has helped us evolve in bringing you the very best what 21st-century dentistry has to offer all under one roof. At Aesthete we give great emphasis on communication and value.Our professional team of senior professors and super specialists will make sure that the best of dental care is made available customized for your lifestyle.Whether it is fear of dental work, wanting a better smile, understanding your Childs dental needs or financial concerns you can be assured that we at aesthete will listen and take care of your needs. We have succeeded in creating an environment where our patients are much more relaxed and have a feel at home experience. Our five star feel and philosophy is aimed at patients looking forward to a dental visit rather than hating it.Our core values of empathy, trust, dedication, ethics and team work help us realize our message through you which is beautifully embodied in our catch phrase as we say at aesthete that- "Now You're Smiling"
I am happy till now. Senior doctor for children. Treated **** with care. Will recommend for pedodentist. I have visited hsr clinic. She has done half treatment and asked me to come another day. When I reached there and asked to complete my scaling part and got the replied that she is busy. I called to come but no proper respond. Practo showing 400 consultation fee and she charged me more 500 don't know why. Not happy.